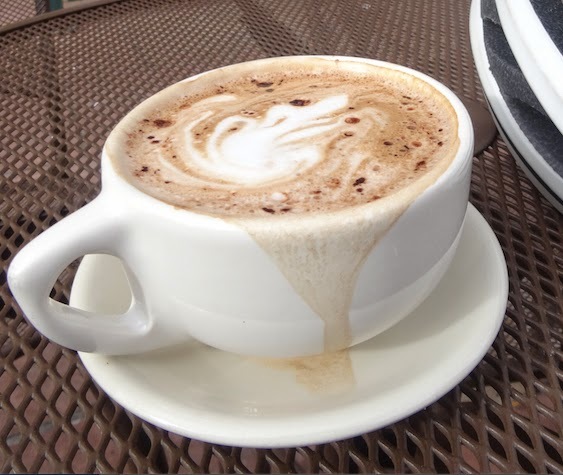 Not all coffee shops survive - as I can attest - because two of the coffee shops I hunted for during this Coffeeneuring Challenge had up and vanished before I was able to pedal to their doorstep. For my #7 of 7 Chasing Mailboxes Coffeeneuring Challenge I decided to visit a coffee shop that has survived the test of times. The Market - in LoDo (Lower Downtown Denver). 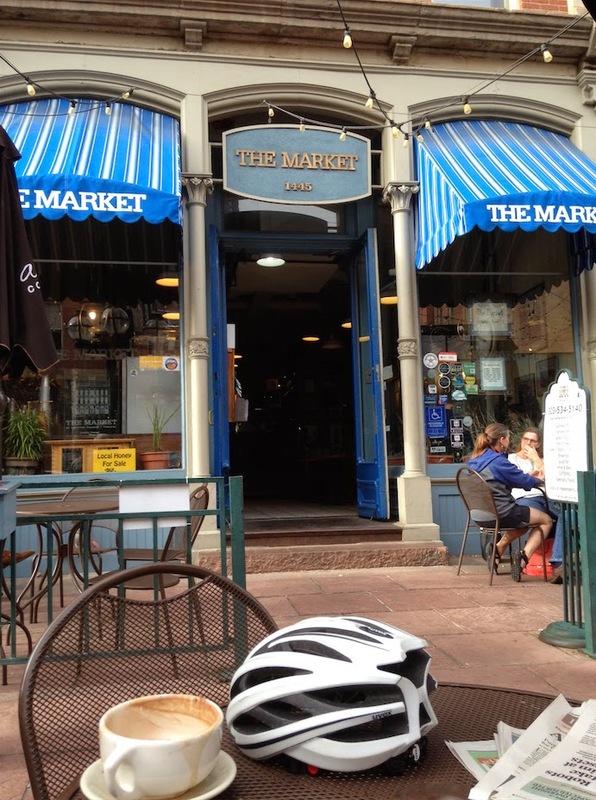 When I moved to Denver in 1990, The Market was the first coffee shop I ever visited in this large city. That is because The Market was pretty much the only coffee shop in Denver. After living overseas in Southeast Asia for 5 years, I had become accustomed to afternoon tea or coffee. 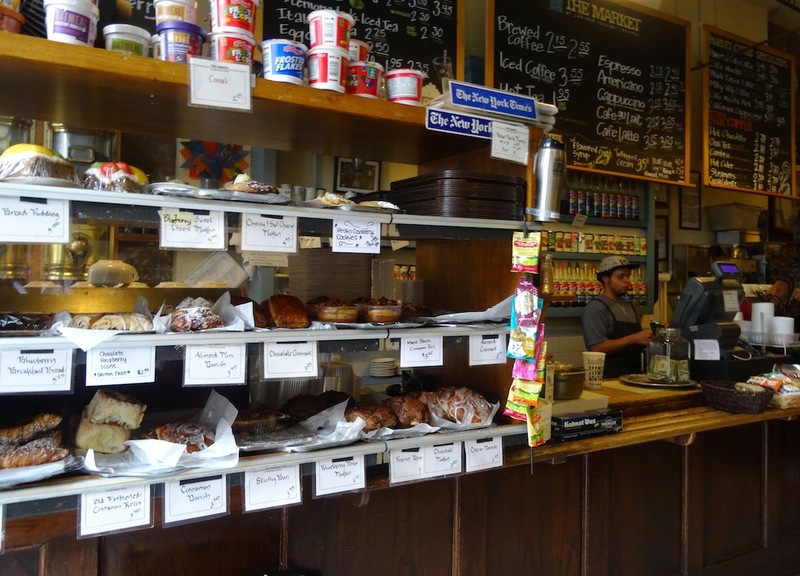 The coffee shop craze, although already active in Seattle and Portland, had yet to migrate inland to Denver. Life as an expat taught me that taking time for a warm drink in the afternoon signaled a moment of relaxation. It was a tradition I quickly learned to enjoy. I liked going to The Market to overhear foreign accents (something I missed terribly when I moved back to the U.S.) and watch others who practiced the tradition of good conversation and relaxation over a cup of coffee. The Market was a bit before it's time and it's patrons have rewarded it with consistent business for 31 years. 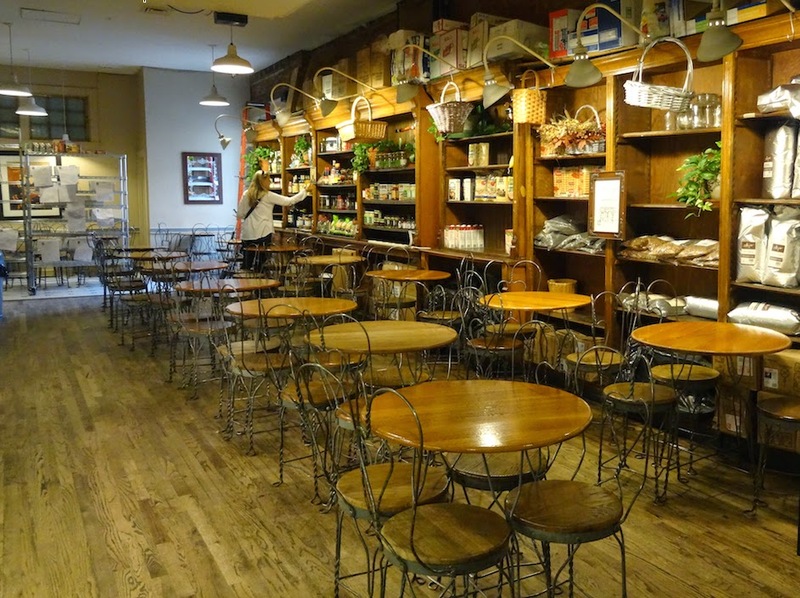 In 1983 two brothers, Mark and Gary Greenberg, from New Jersey bought the market and created the current format of service including a coffee bar, fresh foods, deli, chocolates, bakery, catering, and specialty grocery items. 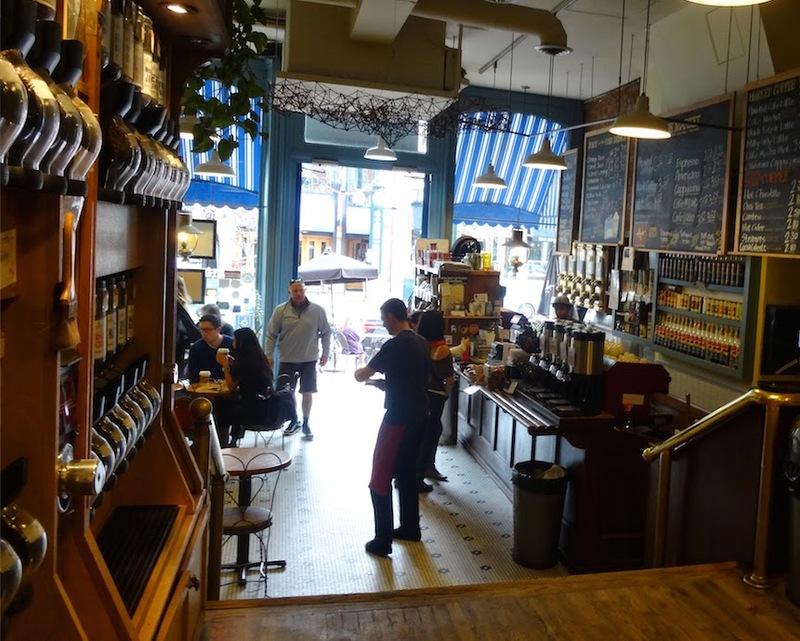 The company website claims, "The Market was the first espresso bar between New York and Los Angeles, eighteen years before it became trendy to open a coffee house on every corner." 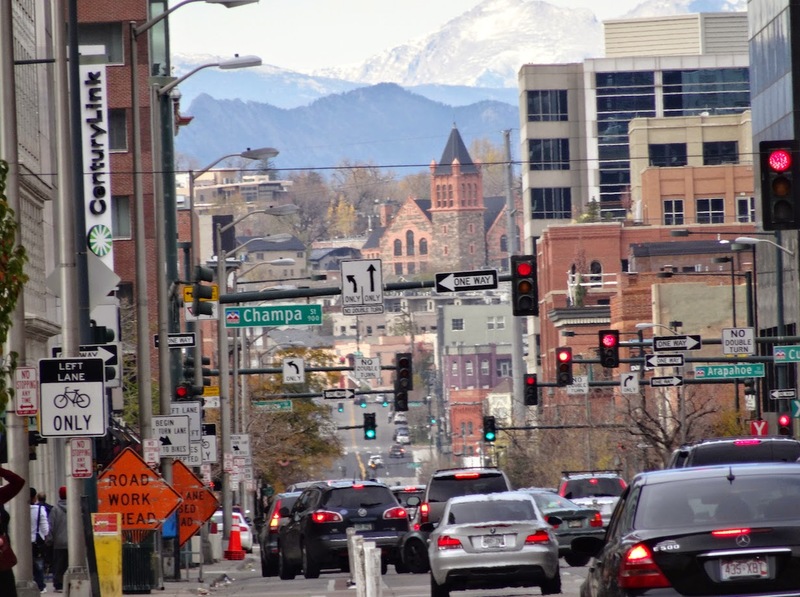 Plenty of restaurants and shops have come and gone on Larimer Street over the years, but The Market has remained steady. 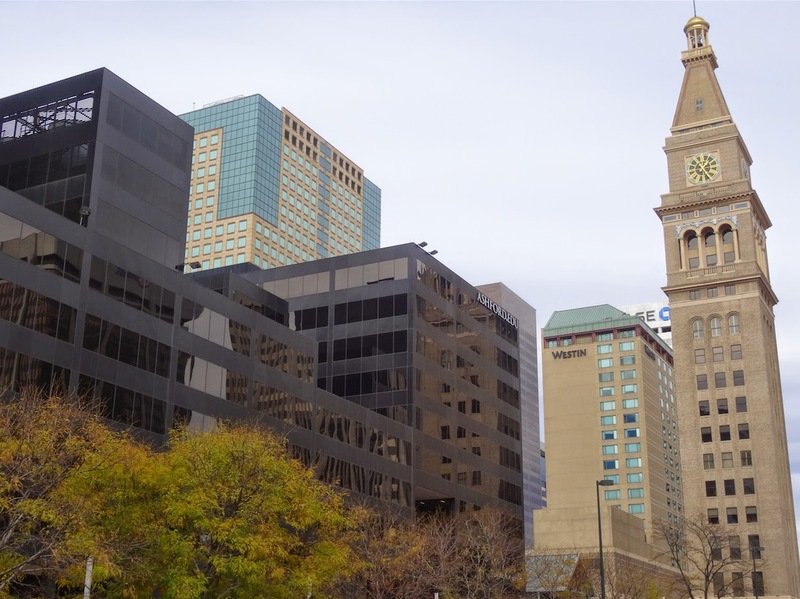 In the 1970's and 80s downtown Denver was sorely neglected, unattractive, dirty, without use. Then the mayor promoted an economic urban renewal that made the area attractive to restaurants, shops, loft living and plenty of new businesses. LoDo boomed. 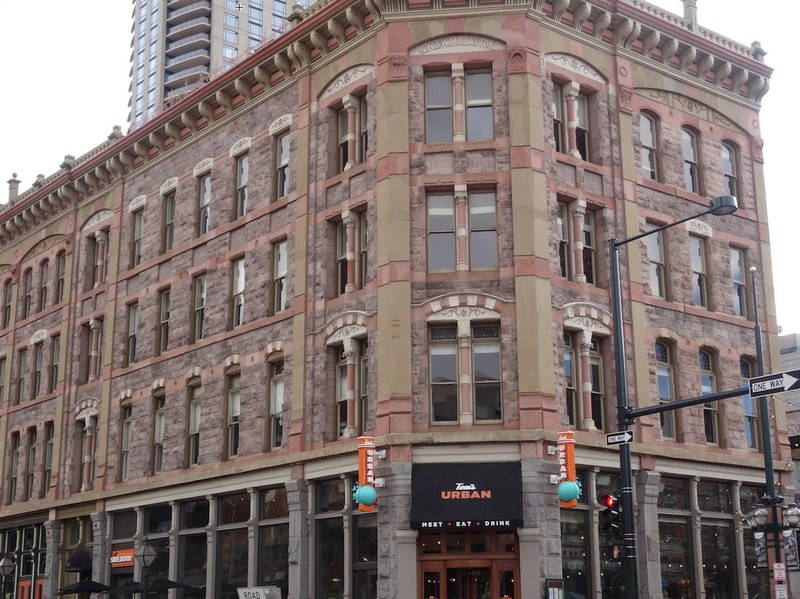 Before the renovation of Lower Downtown the single block of Larimer Street, between 14th and 15th streets, was a small oasis of preserved historic architecture. The Market has always been the cornerstone of Larimer Street, although it resides in the center of the block. 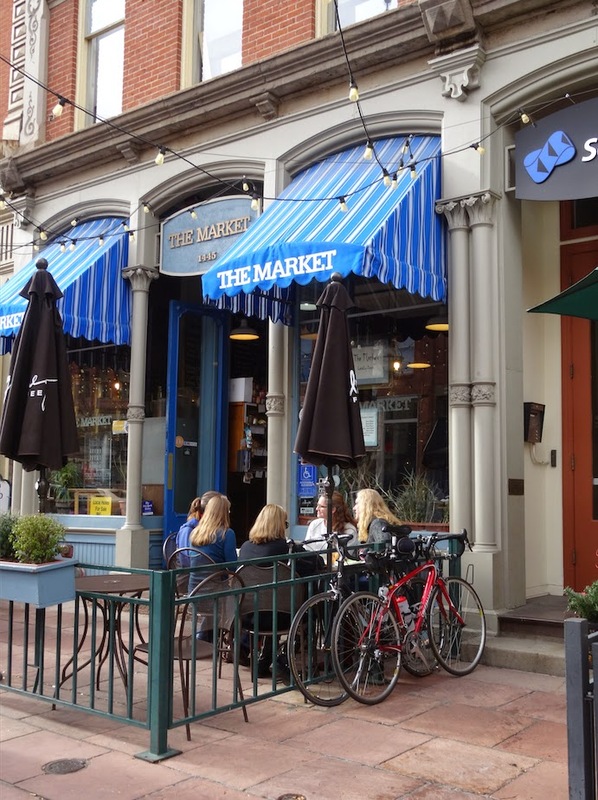 The Market is a Denver tradition. Eats: nothing, the coffee was like pudding! My Latte mocha mint. The Barrista took his time to hand blend this yummy drink for me and added the nice design on top. Sitting at an outside table in front of The Market on a beautiful Sunday afternoon. 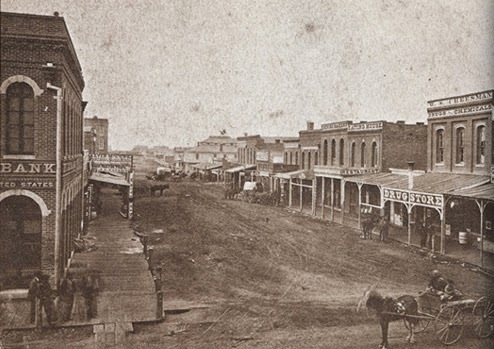 Blake St (near to Larimer St) in 1866. We've come a long way! It was a great setting yesterday outside this traditional coffee shop in Denver. TODAY IT IS SNOWING!!! I have completed my coffeeneuring challenge for 2014, but will be pedaling to more coffee shops in the future. That was tons of fun - thanks Chasing Mailboxes for organizing and inspiring the challenge.